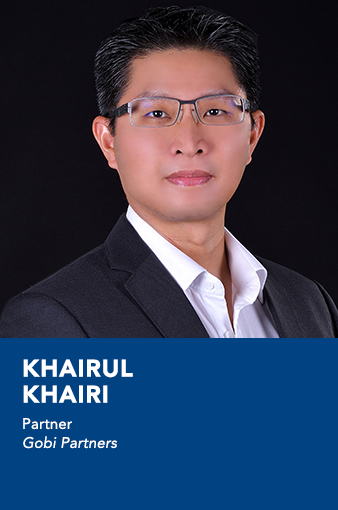 Khairul joined Gobi in 2017, and prior to that was a Senior Vice President for Investment at MAVCAP, where he was involved with Investment Committee meetings and liaising with MAVCAP’s partners, including venture capital firms. He began his career as a writer at The Edge Malaysia and has extensive experience in investment management and strategy, after holding positions at Maybank Investment Bank, CIMB Private Equity, and Khazanah Nasional Bhd. Khairul holds an L.L.B. from Bristol University in the UK, as well as a Master’s in Public Administration from Harvard University.